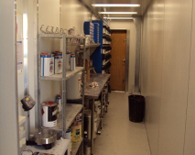 Our specially designed spray booth has state of the art technology that ensures your car is in a temperature controlled environment, producing that original, high gloss finish. 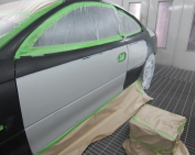 Colour matching is not something left to the naked eye alone therefore, we have a computer controlled colour matching system, to guarantee the best match for your vehicle. I brought my car in to the team at Perth Autobody Repairs after an outright horrific experience with another smash repairer (who threatened to sue me for not going through with a job I hadn’t agreed to, among other things). 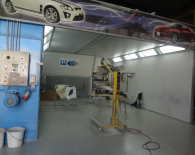 Suffice to say my trust and faith were pretty well shaken by the time I contacted Kayla, Jamie and the rest of the team however there was no need to worry, as dealing with the Perth Autobody Repairs team was one of the best customer service experiences I have had across ALL industries. They were incredibly transparent about quotes, pricing, flexible about when I could bring my car in and also got the job done in record time! They also did their best to keep the costs down, which as a uni student, I was incredibly grateful for. 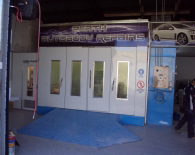 I would be happy to recommend Perth Autobody Repairs to anybody.